The Del Ray House and Garden Tour is one of my favorite events in our neighborhood. Not only do you get to see inside those homes you walk by all the time thinking, I wonder what it’s like in there, but you also get renovation ideas, leads on contractors and design inspiration. Most of the homes have undergone some sort of renovation or restoration — whether it’s restoring the home to its original glory or adding a modern addition — and each one is unique and filled with character. This year, the organizers have a special treat for tour participants: A home that isn’t finished and far from perfect, a home that its owners are in the process of renovating, a diamond in the rough. Yes, this is what the living room looks like right now… just seven weeks until the tour. Don’t mind the crackling plaster, this house has good bones, classic window moldings and wood floors that stand the test of time. The owners have agreed to be a special “project house” for the tour. 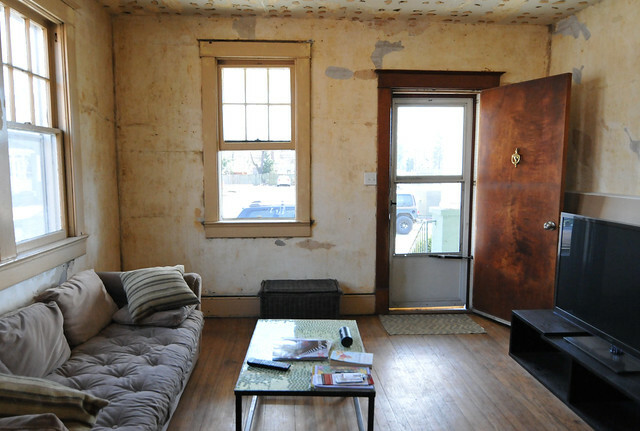 So here’s your chance to see its “before” state, up close and in person. You’ll be invited back for the 2016 tour to see their progress. 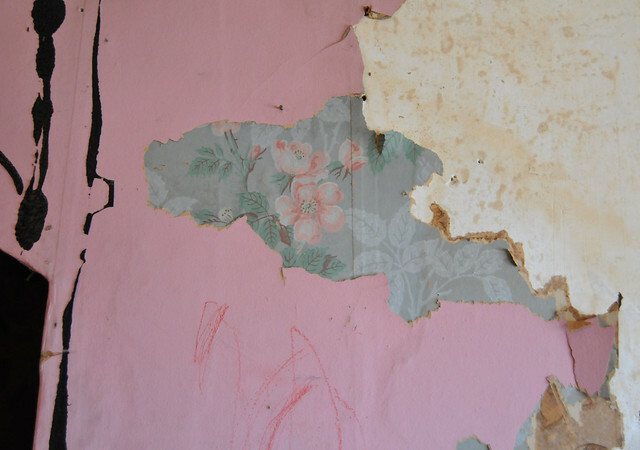 For over 40 years, this house was a rental and the residents did their fair share of decorating… as you can see by the many layers of wallpaper. As well as some vintage treasures left behind. The current owners are living in the house while they renovate (a massive DIY venture to boot) and they are in the process of what they call phase 1 renovations. One of them is an architect and has already started planning for phase 2. 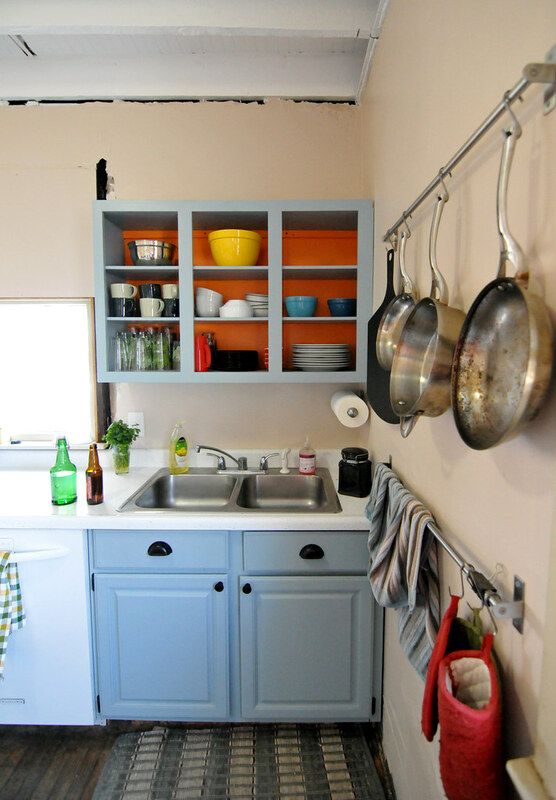 In order to save money, they’ve found some creative ways to make the most of what they have, including repurposing Freecycle finds and using paint to refresh worn surfaces. 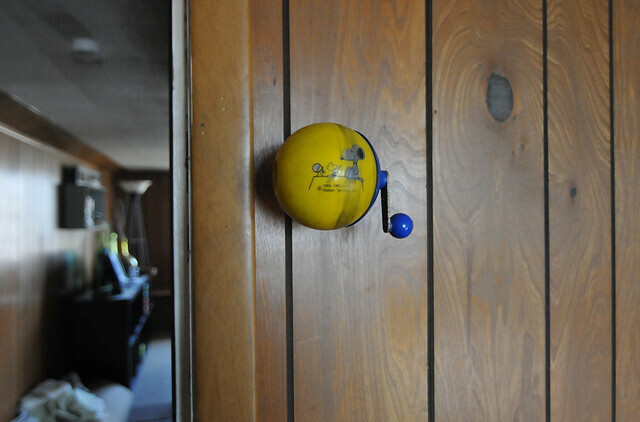 After we visited the house a couple weeks ago, Leslie and I both left with some ideas we’d like to try in our own homes. This is definitely something new for the House and Garden Tour and a stop not to miss. 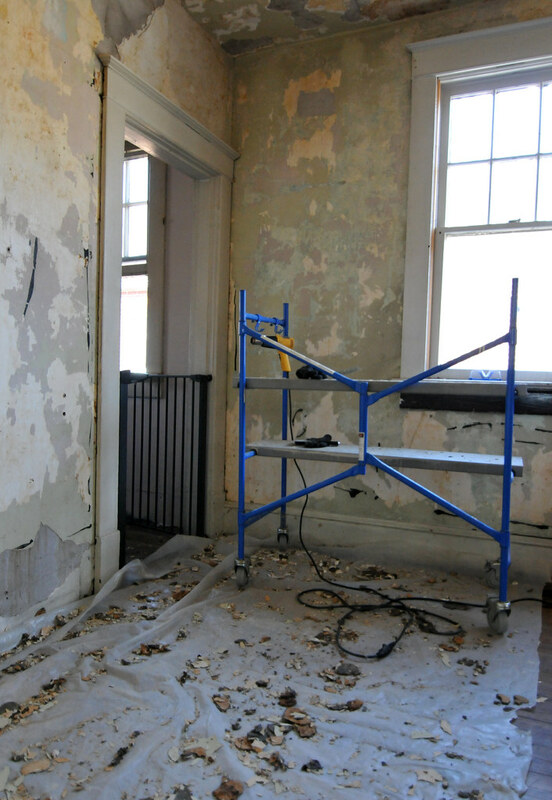 Come check out the before phase, learn about the owners’ plans to restore this gem to its 1920s glory and discover some creative ways to decorate. Advance tickets for the tour are $20 and can be purchased online. Proceeds benefit the Alexandria Scholarship Fund and neighborhood improvement projects. Stay tuned for more sneak previews! Very cool! The tour is on my calendar – can’t wait!